The 13th instalment of the South African Film and Television Awards will be held on 2 March 2019 and entries opened this week - on Monday, 10 September 2018. The awards are being organised by The National Film and Video Foundation as per usual and entries are open to South African TV shows and films. 1. All South African TV content submitted for consideration must have been produced and publicly exhibited or broadcast in South Africa between 1 August 2017 and 31 October 2018. No re-runs are eligible. 2. All feature films submitted must have been exhibited publicly to a paying audience for a minimum of 7 consecutive days in aggregate during 1 January 2018 to 31 December 2018. All of the entry guidelines are on the SAFTAs website too. Here's a direct link: SAFTAs Entry Guidelines. A heads-up that the closing dates have been extended to 19 October at 17h00. 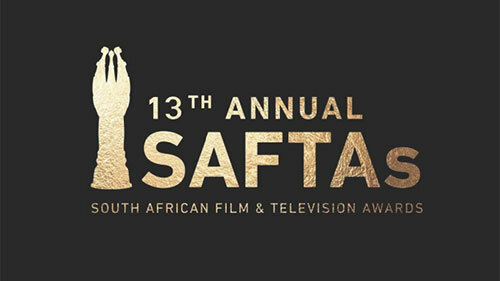 The SAFTAs committee is aware of the challenges faced by producers in collating all the required documents and the extension is indented to allow more time to all producers who have started the application process but have not yet completed the submission. Producers who have not submitted their work are encouraged to submit all eligible projects before the set deadline. All entries must be submitted on the SAFTAs online portal, www.saftasonline.co.za by the 19th of October 2018, 17h00. Content that falls outside of the eligibility periods will be disqualified. The SAFTAs operate on a voluntary basis, and producers are required to enter their own work for consideration. If producers do not submit their content and cast as entries, they cannot be considered.